sometimes i like to get my paint out and go at it like a little kid. i was playing around one day and thought about painting favor bags. i think it would be cool to have personalized painted favor bags at your wedding or party. 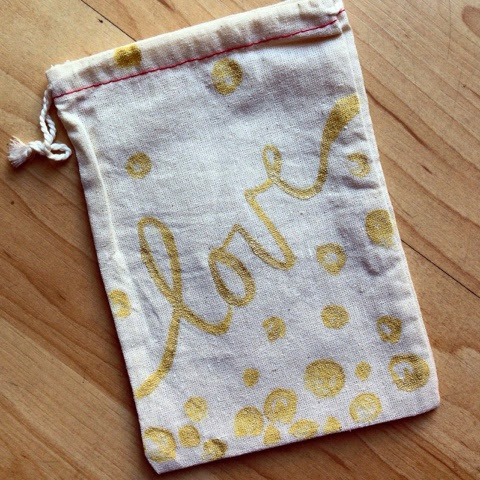 the possibilities for these muslin bags are endless. 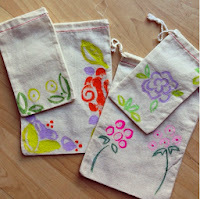 these bags could go along with the vintage garden theme seen on invites and thank you cards in my etsy store. put the seeds of the bride's favorite flower and "watch the couples love grow." have us create the bags and a custom tag to explain how and when to plant them.